Rachel and Matthew Hagle were delighted to return to Performance Today to play music from their new album Blues Dialogues on Cedille Records. Then Rachel and her six-year-old daughter, Sylvia, performed a selection from “Balada” by Francesca “Chiquinha” Gonzaga featured in The Rachel Barton Pine Foundation’s Music by Black Composers Violin Volume I sheet music book. It was Sylvia’s radio debut! Pine also spoke with Fred about The Rachel Barton Pine Foundation Coloring Book of Black Composers, featuring 40 prominent Black composers throughout history, drawn by Sho-mei Pelletier. Print-at-home pages are available here. 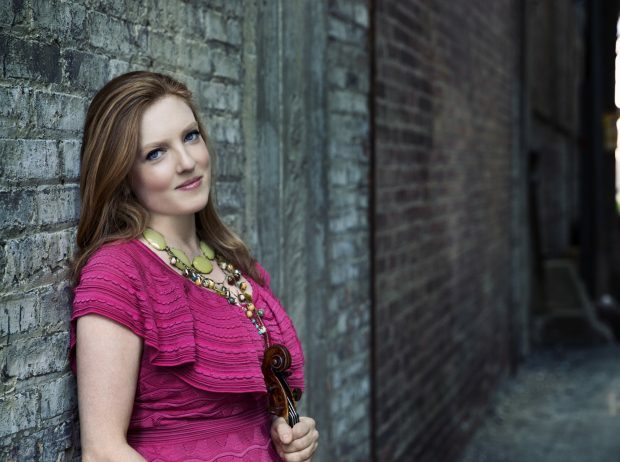 The Rachel Barton Pine Foundation’s Music by Black Composers sheet music book Violin Volume I features 22 works for violin and piano or violin duet by 17 Black composers spanning from 1767 to 2014 representing the United States, Brazil, Puerto Rico, Cuba, Jamaica, Ghana, Nigeria, Switzerland, France, and England. Violin Volume I is the equivalent skill set of a Suzuki book one or two. The full series will enable everyone from beginners through Mendelssohn-Concerto level to include works by Black composers in their studies. Additional orchestral instruments will be covered in future volumes. Performance Today, is the most listened-to daily classical music radio program in the United States, with 1.2 million listeners on 237 stations.